Now, before we play the answer here, the idea that we weren’t talking about before The Oprah came along? They still say that to this day. How many times you hear Eric Holder? “You don’t have the guts to have a conversation about race,” he said. Whereas it seems to me that’s all this country does talk about. We’re talking about race all the time. We can’t get away from it, and reason we can’t get away from it because the American left won’t let anybody get away from it! But all that aside, here is the answer from that, here’s the answer from media mogul The Oprah. WINFREY: The first time we did a show on alcoholism and there was a family of five and I was like, “Oh, my God. I didn’t know that white people had dysfunction,” because I grew up thinking that all white people were like, uhhh, Leave It To Beaver. And so the first time I started having conversations with people with real dysfunctions, with real family issues from all parts of the country, it was a revelation to me. 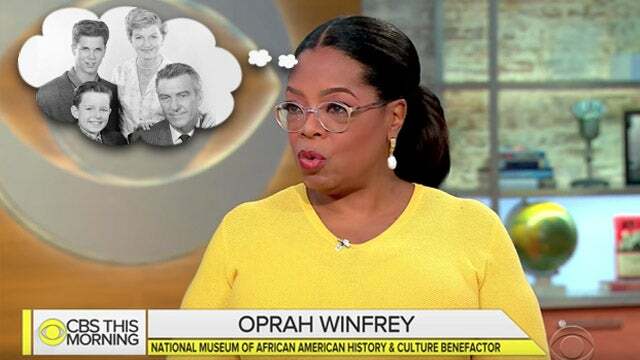 RUSH: She “grew up thinking that all white people were like Leave It To Beaver.” I’ve never heard her say that before. Have you? So I don’t know. She “grew up thinking all white people were like Leave It To Beaver.” Can you imagine if Roseanne went on this show and said something like that about (laughing) take your pick of anybody?